A clean slate can work wonders in life, especially when it comes to the gadgets we use on a daily basis, like the iPhone. Although performing a factory reset of your smartphone may not sound ideal — it essentially wipes your device of any and all personal settings and data you’ve acquired through the years — it’s occasionally necessary when troubleshooting your device for software errors. As we’ve shown you in our troubleshooting guide, there are many steps you can take to fix problems with your iPhone even if a factory reset doesn’t fix your issue. It may seem daunting, but restoring any iPhone to its original factory settings, whether it’s an iPhone XS, iPhone XS Max, or an iPhone SE, is a simple process that requires little more than your phone and five minutes of your time. Once completed, you’ll notice that all of your phone’s data and content — songs, videos, contacts, photos, calendar info, etc. — has been deleted, thus safeguarding your personal information and preventing it from falling into the wrong hands should you sell your smartphone. Is your iPhone frozen or not responding? Follow our guide on how to reset an iPhone so that you can get back up and running again. If you have iOS 11.2 or later, go into your iPhone Settings menu — Settings > [Your Name] > iCloud, or go to Settings > iCloud for an older version of iOS — and turn on the items you’d like to back up. We recommend you choose to back up almost everything, but especially your Photos, Mail, Contacts, and Notes. Once you have chosen what you would like to back up (and keep in mind that anything you do not back up will be lost forever once you perform the reset), scroll down until you find the Backup button with the green icon. Tap it and turn on iCloud Backup with the toggle switch. Then, if you’re connected to Wi-Fi, you can tap Back Up Now. Keep in mind that it will take a few minutes. Tap the main Settings icon when viewing the home screen, select General from the resulting menu, and tap the Reset button at the bottom of the page. If you’re interested in what all the iPhone Reset options mean, then skip to the last page of this article. If you want to perform a factory reset using iTunes, read on. Performing a factory reset on an iPhone — whether it’s a 4S or an iPhone XS Max — is easier when you use iCloud and reset directly from the device, but you can still use Apple’s aging iTunes with a PC. This is useful if you have traditionally used this method and are a longtime iPhone owner. First, launch iTunes as you would normally. If you’re on a Mac, click the iTunes menu located on the left side of the main toolbar, and if you’re on Windows, click the Help menu on the right. Select Check for Updates from the resulting drop-down menu, and ensure you have the latest version of iTunes. If not, download and install the latest version. Afterward, connect your iPhone to your computer via USB and click the gray Back Up Now button when viewing the Summary tab for your given device. Alternatively, follow our guide on how to use iCloud to back up the device to Apple’s remote servers. Although backing up your device is not necessary, doing so will store your photos, apps, contacts, settings, and other data so you can automatically restore other iOS devices from the backup down the line. If you’re using an iPhone 4S or a newer device, you’ll have to disable Find My iPhone. To do so, tap the main Settings icon when viewing the home screen, select iCloud, and tap Find My iPhone. Then, toggle the slider at the top to disable the feature if you haven’t done so already. Once the backup is complete, click the gray Restore iPhone button when viewing the Summary tab for your given device. 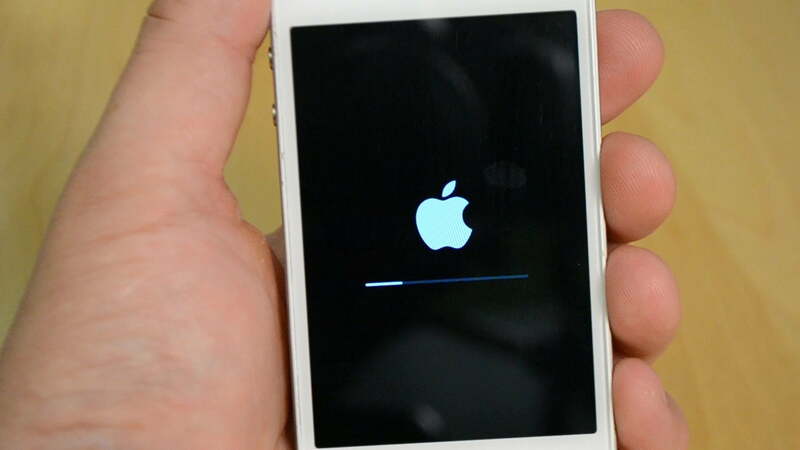 Click the Restore button in the resulting pop-up window to confirm your decision, and if prompted, click Agree to accept the software license agreement and begin downloading the necessary iOS software file before restoring. Once the restoration process is complete — a process that may take up to several minutes — check to ensure your phone has been restored to its original factory settings. If done correctly, you’ll once again be presented with the iOS Setup Assistant upon startup, from which you can then restore your phone from a backup or continue the process as if you were setting it up anew. It’s like it just came off the assembly line in China all over again.